When you’re stuck in a cubicle and all its fluorescent light glory, it’s easy to think that entrepreneurship is a utopia of sorts. You’d be free from people abusing the “reply all” button, and there would be no one around to steal your lunch out of the communal fridge. 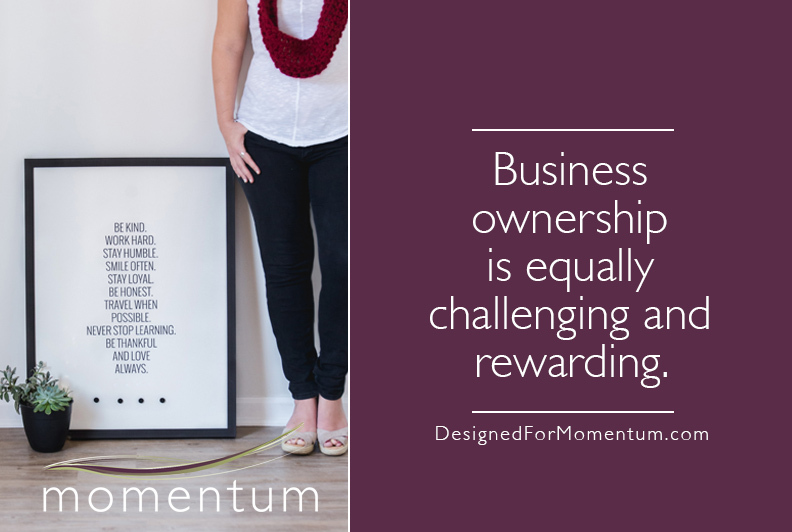 While there are certainly many benefits to owning your own business, it’s also important to note that business ownership has its challenging moments, along with the beautiful ones. 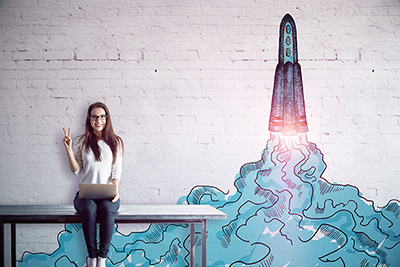 Here are some of the common myths that aspiring entrepreneurs often get caught up in when they’re daydreaming about forging their own path. This is one of the major myths surrounding entrepreneurship, and it comes from all angles. It certainly comes directly from you, the new business owner, who expects a breezy workday, free of micromanaging bosses. It can also come from your partner, who expects that you’re now the go-to person when it comes time to wait for the cable company to arrive. While there is some degree of flexibility when you own your own business (I’ve been known to toss laundry in as I work) you also have to consider that if you’re taking mini vacations or dealing with household tasks all day, then you’re not actually attending to the money-making part of your business. Business owners don’t have the luxury of paid vacation or paid personal time off. Another point to note: even when you do plan ahead and set everything up to flow seamlessly when you’re on vacation, technically (unless you have admirably strong boundaries) you’re still on call. When you’re an entrepreneur, if something goes wrong at the office when you’re off in Jamaica enjoying a rum punch on the beach, you’re still on the hook for fixing the problem. As a matter of fact, this happened to me on my honeymoon! Fortunately, a quick conversation with my team corrected the issue. But you’d better believe we implemented a more effective system when I returned just in case another situation arose during a future vacation. That being said, it’s hard to argue the benefits of the flexibility that comes with entrepreneurship. You can take a day off and care for a sick child and not worry about burning your PTO. You can RSVP “yes” to weddings, without doing the math about whether you have enough time off stored up. It’s just important to use this perk both wisely and sparingly. If you’re going to start your own business, brace yourself for well-meaning friends and family members who may not fully understand what it means to work from home. This is where boundaries become ultra important. If you let each little distraction pull you off track then your work doesn’t get done, though loved ones might believe that a magical productivity fairy comes each afternoon to wipe away your “to do” list. While this would be lovely, in reality, you’re working just as many hours (if not more) than your desk-bound friends. However, the plus side is you can take time off when you’re truly needed. While it’s true that you’re no longer dealing with those heart-in-throat meetings after your manager has summoned you to her office, any good entrepreneur knows that he or she still has to answer to clients. In fact, I joke that I don’t have to answer to just one boss anymore, I answer to dozens of them! When you venture out on your own, you’re juggling many different clients, and each one will have questions about their specific account or project. This makes organization crucial, and you’ll want to set boundaries around your response times. It’s also okay to say, “I’m not sure about the answer to that question. I’ll get back to you.” Just because you’re the boss, you aren’t expected to know everything at all times! This is one I appreciate in a major way, and there are no other points to consider. It’s amazing. This belief is complicated because it can be true, but for the majority of people, it’s not. In reality, when you start a business, you’ll end up spending more hours working for less money than when you were working for someone else. Add in taxes, and even established business owners find that their gross income is drastically different from their net income. It takes a long time to earn a solid salary as a business owner, and the process requires a significant amount of sacrifice. Those who are diving in solely to work fewer hours or to make money quickly will end up disappointed. Drive and passion for what you do: You have to have a real belief in why you’re doing what you’re doing. A willingness to be vocal about your brand: You don’t necessarily need an outgoing personality, but you have to be open to talking to friends, family members, and even complete strangers about what you do. You have to be seen for what you’re doing, and you have to overcome an introverted nature (if you’re like me and you’ve got one) to make that happen. A willingness to look at your numbers: As I said in my last blog post, it’s not always easy to do this, but if you want your business to be lucrative, you need to look at where you’re actually making money so you can work in smarter ways. A realistic attitude about the runway and time that you need to get going: If you expect to start your company and immediately have a large client base, you’re going to be disappointed and probably in debt. You’ve got to have a willingness to plan for growth accordingly and stay inspired, even during that growth period. These components are equally as important as a compelling product or service, so make sure you’re confident that you’ve got them before you take on entrepreneurship. Whether you’re working in an office and hearing it from your boss or you’re out on your own and hearing it from a client, negative feedback happens. However, I’ll be honest, when you’re the business owner, these comments take on a much more personal feel. This is your passion and something you’ve put out into the world, and therefore it feels much more raw when it’s not well-received. However, at the same time, positive feedback also feels much more exciting. All feedback types are more amplified when you’re the boss. And all of them are important to listen to as you grow and develop! Now that you’ve read some honest truths about entrepreneurship, you have a better idea of what it takes to begin building your own brand. If you’re ready to get down to business and start one of your own (see what I did there?) then check out my Designed for Momentum business course to start a strong foundation from the ground up!